The Master of Science in Biochemistry at the LMU Munich is an interfaculty program taught exclusively in English and open to German and international students. The highly competitive program provides students with an interdisciplinary education and a wide range of experimental and theoretical skills. The program takes two years, divided in four semesters. 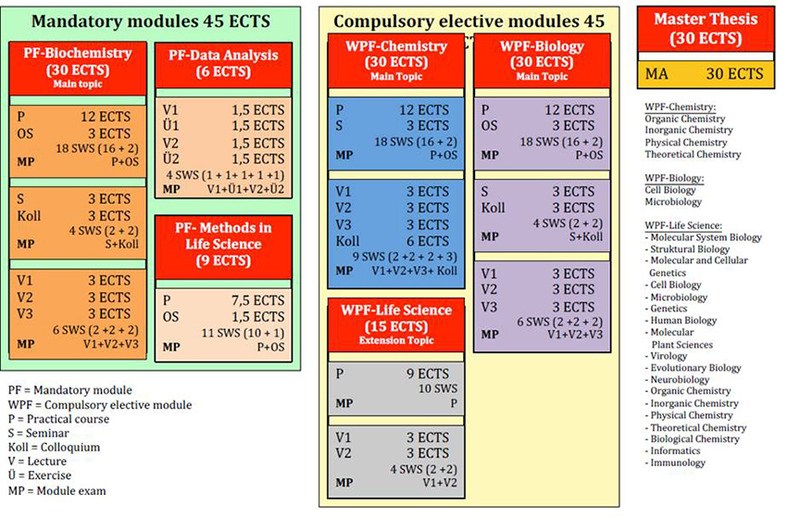 120 credit points (ECTS points) have to be earned from mandatory and compulsory elective modules. 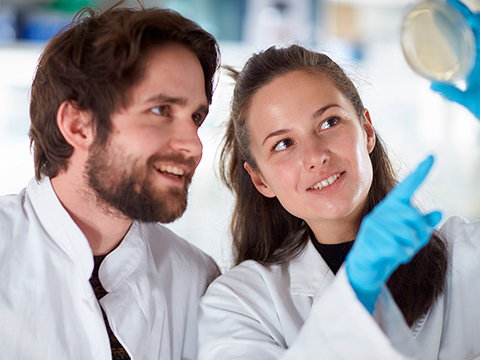 The Master in Biochemistry at the LMU Munich is a cross-disciplinary program taught exclusively in English and open to German and international students. Each year, we offer two application deadlines for the Master in Biochemistry program: January 15 and July 15. The programs start in April and October, respectively. The Gene Center is home to scientists from many different countries at every career stage, fostering a truly international atmosphere in research and teaching. We welcome students and scientists from other countries to our Master's, PhD, and post-doctoral programs. Conversely, we encourage our Master's students to gain international experience by doing their laboratory rotation or their thesis project abroad. Here, we provide some general information for incoming and outgoing projects. News of the Master of Science in Biochemistry Program also as RSS-Feed.